A detailed look at the grim work of tracking Nazis over the decades since World War II. The Nazi Hunters, [Nagorski's] vivid, reader-friendly account of how justice was done (and, as much to the point, not done) after World War II takes us up to the present day, tackling this long and sometimes tortuous story with a blessed avoidance of the lurid excess sometimes attached to 'Nazi hunter' dramas ... Mr. Nagorski’s fine book is comprehensively informative and a highly involving read. There may be those for whom it is not quite sensational enough. Well, for them there is always fiction. Much of Nagorski’s evidence is archival, but he has also found his way to some firsthand testimony from the last surviving participants in the war-crimes trials ... [a] deep and sweeping account of a relentless search for justice that began in 1945 and is only now coming to an end. What Nagorski gives here is a full history of the postwar hunt and prosecution of Nazi criminals, now completing its seventh decade. Nagorski writes in the best Newsweek style: literate, factual, highly readable. His account is highly objective and balanced, qualities especially important in a story where you would think the lines would be clearly drawn but very often prove not to be. It’s a narrative that will hold you, even if you’ve followed this story over the decades. 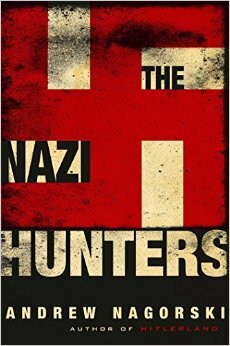 What did you think of The Nazi Hunters?